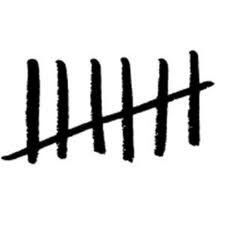 Seven (7)…the number for completion. As I see it for me, it is the completion of the intro/orientation/adjust and make it work phase. Now is the time to recommit, rev it up and press through for a break through. In anticipation of a most amazing revelation and unprecedented use of my personal power (seeing it clearly in my minds eye) I begin celebrating today…now! Yes, the past week has been “character building” yet I declare that today, as I approach week 7 on this journey that indeed I recommit to the vision, roll up my sleeves, turn off the outside noise and get moving with a renewed vigor. Where do you stand as it relates to your Week 7? I have never given much thought to the number 7, but this really opened my mind to the struggles that I have been going through the last 2 weeks. Thank you for the insight. Now, onward and upward… Let’s do this!!!! I am definitely with you on “doing this!” It is work for sure, particularly at this point and I am so looking forward to even greater payoff for the effort. As I alway say…keep believing! Thanks for your comment!! I used to be involved in Numerology and recall that the number 7 is considered (as an odd-number) to be an ‘in breath’ that represents Analysing and Understanding, coming after the Balance, Responsibility and Love of out-breath number 6. Next week number 8 is thought to represent the next out-breath, of Material Satisfaction and Accomplishment. Of course, Numerology is subject to confirmation bias. But I can’t help my interest being piqued regarding weeks 11 and 22. Interesting comments you’ve made about the various numbers. I have never studied numerology and my reference to the number 7 representing completion is a spiritual / Biblical reference. I’m not sure it that lines up exactly with general numerology??? You have piqued my interest about weeks 11 and 22. Why are you particularly interested in those? 11 – Illumination and connection 22 – Mastery of the Material They are known as the Master Numbers, and they carry on through 33 to 99. Chaldean numerology is ancient, with many modern interpretations. As usual with the internet, there are many offering to tell you ‘your fortune with numerology’ for a price – but ignore those and go for Chaldean / Pythagoras / the Talmud. Hi Celeste – not sure if my first comment went through, so here goes a second time. I found your post quite timely to read for me as I have been going through challenges for the last number of weeks – loving the course, but fitting it in around my life at this particular time of the year has been interesting. In a way, it’s probably the best time to do it, because the struggles make me dig deep, and I can only get more out of the challenges than if it was a breeze for me. I certainly look forward to the payoffs, as I am already aware of the changes in my outlook in life already, which are so much better than if I was just plodding on with no particular direction and understanding of how I can have what I want, provided it is all within the Laws of Nature and the Universal Mind. I think I was meant to write twice on your blog (even if you didn’t get the first one) because I’ve just learnt something more by reflecting on my attitude to these challenges. Thank-you again. Thanks so much for your comment and for doing it twice! How awesome!! That alone says something about it. I’m very glad you have even found value in revisiting it. It has indeed been a challenge for me at this time and quite frankly it would likely be challenging no matter the circumstances. I have been feeling a significant level of frustration — feeling very behind BUT I’m committed to press through no matter what. Glad you’re on this journey with me. Thank you for writing! As I always say, keep believing. I re-comited this week to. It’s not easy the mind chatter was trying it’s hardest to get to stop interfering with the Old Blue Print. Isn’t that resistance interesting?… Recommitment is a great thing. We’re in this together and the payoff is tremendous. Oops – sorry for getting your name wrong – would you like to correct it in the comment itself, or post this apology. No worries either way. I know who I am (smile) and God knows where I am…that’s all that really matters Christa…oops, Christine! All is well. Have a terrific day! I so thank you for sharing this journey. Fall off the horse. Get back on the horse. Fall off the horse. Get back on the horse, Fall off the horse. Get back on the… ad infinitum. I love it. As long as we get on the horse one more time than we fall off, we win! I love it that falling off the horse isn’t a problem, and that all that’s needed when we find ourselves sitting on our butts on the ground is simply to get back up, and get back on the horse! I d first say your exactly right, nows the time to rev it up & get er done as someone says!As for me I continue to stay in the moment focused on my new designed blueprint but at times the old one holds on for dear life !Focus! Celeste…your commitment and willingness to dig in no matter what is inspirational. We can’t let the outside forces influence us anymore and we need to continue to recommit ourselves and out Subby every moment of every day! Keep up the great work! Shine On! Thanks…love your name (numbers…) I used to where #7 on my team jersey. Glad we’re on this team together. Keep believing.